The Boardroom has floor to ceiling windows at both sides. 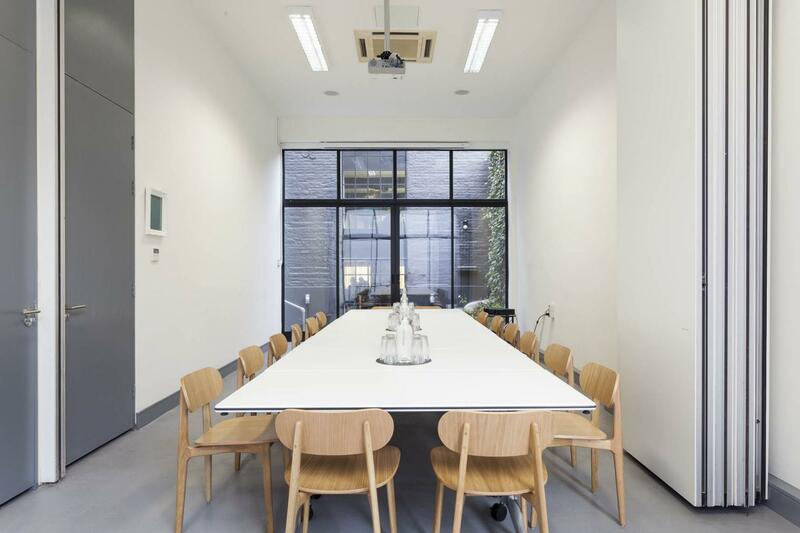 It's bright for clear thinking and long boardroom sessions and has a projector and screen. Windows open out onto terrace.